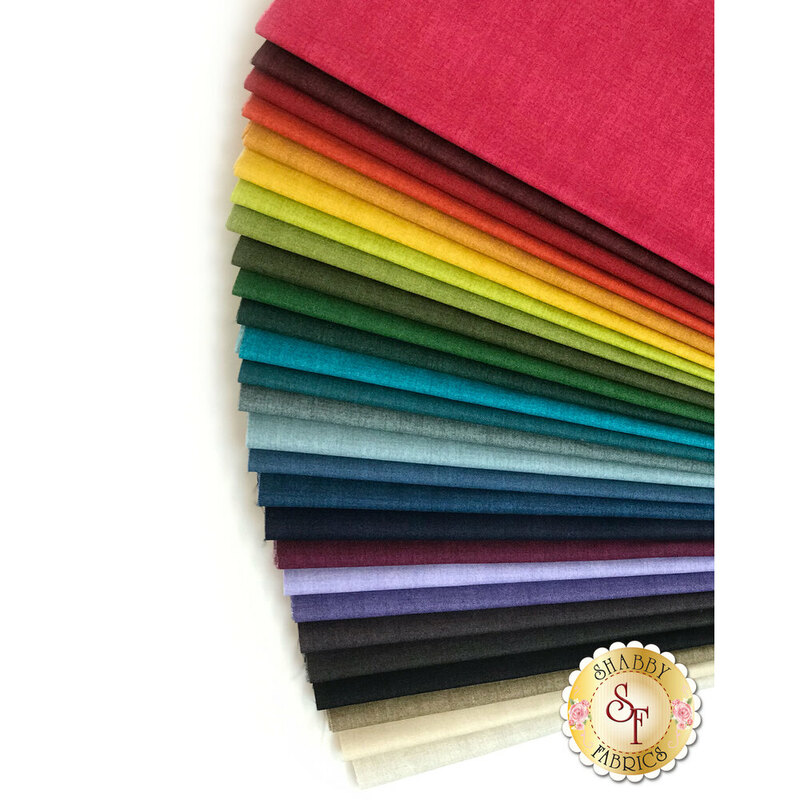 Linen Texture is a colorful basics collection by The Henley Studio for Makower UK Fabrics. 100% Cotton. This fat eighth set contains 27 fabrics, each measuring approximately 9" x 21".